Memory Loss? Forget About It! While Ptah may have been a bit melodramatic, most everyone has felt the weight of getting older. Who hasn't walked into a room only to realize they have absolutely no idea why they're there, or spent ages searching for an important something-or-other? Helping others combat issues of memory loss at any age is crucial to our success as practitioners. When memory lapses become more common, reaction times slow, or words don't come as easily, panic often begins to set in that memory loss is unavoidable. But as we know, this is not an inevitable part of aging! People don't have to sit around waiting to forget what they had for breakfast! Fortunately for all of us, we can take daily initiatives to improve our memory, which greatly increases our quality of life regardless of age. From 3 to 103, we can all benefit from increased memory. Recent studies demonstrate that working memory capacity, long thought of as a constant, can be improved through training. We CAN improve memory loss! The changes in cortical activity after training could be evidence of training-induced plasticity in our neural systems. Since working memory is essential to how the brain handles information – how we process it, integrate it, retrieve it, and apply it – this basic functionality is vital to performing daily tasks throughout the life span. From memorizing the alphabet to learning to read, playing team sports to participating in a monthly book club, solving problems, meeting deadlines, setting and reaching goals – all of these (and more!) are dependent on working memory. The connections between our eyes, brain, and working memory have powerful implications. Our brains process information all of the time, and we make decisions constantly about what to attend to and what to discard. 80 percent of the sensory information the brain receives comes through our eyes, which means we need to pay particular attention to being sure the eyes and the brain know how to take in what is being seen. When someone has 20/20 vision, they may think that none of this applies to them. Of course, visual acuity is a small piece of the entire visual picture, as visual ability includes so much more: peripheral awareness, depth perception, focusing ability, eye coordination, tracking, and color vision, to name a few other perceptual factors. Since what we take in through our eyes is so crucial to how our brain processes, integrates, and reacts to information, focused time and energy should be dedicated to perceptual training. Perceptual activities are fun learning tools that can help train the brain in a multitude of ways and assist in making sense of the information the eyes are sending to the brain. 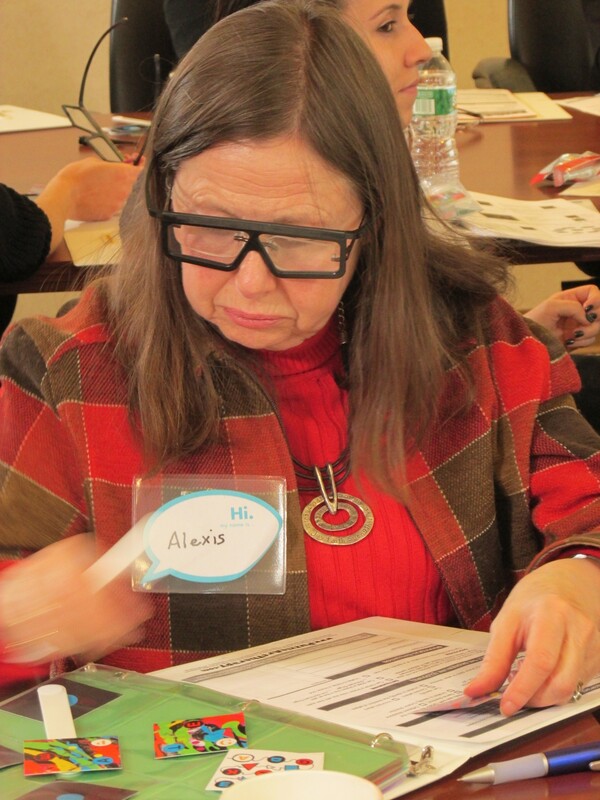 PuzzleArt Skill Builders take participants on a guided journey through the perceptual learning field, providing perceptual activities that challenge and activate the brain, improving memory and cognition and slowing down memory loss. It's vital for people to take an active role at any age and train the eyes to truly see and fully communicate with the brain. 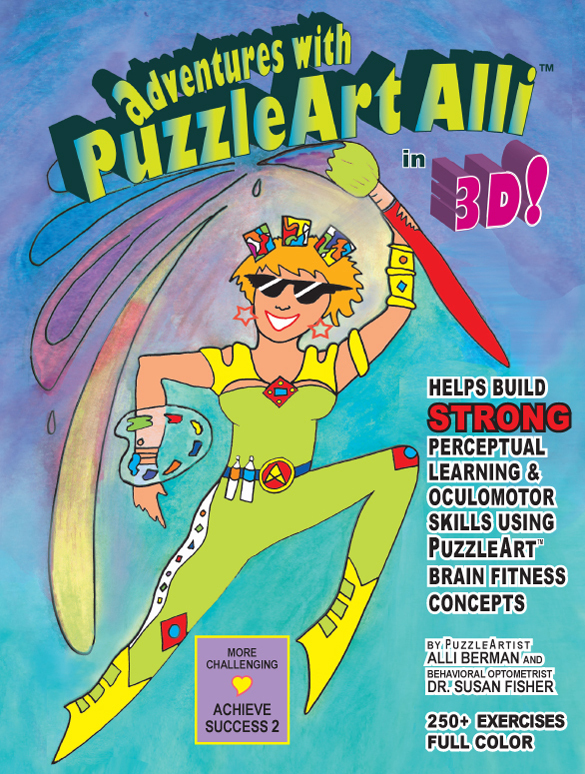 Try one of my PuzzleArt Skill Builders for FREE today to sample a perceptual activity that trains the eyes, the body, and the brain. 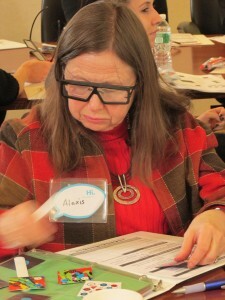 Attend PuzzleArt Therapy’s Training Live in New York! 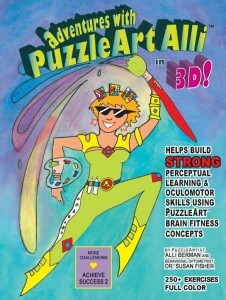 Register for the next PuzzleArt Therapy Training June 8th from 9 a.m. to 4:30 p.m. Use what you learn the very next day! Early bird registration ends on May 30th. Our six credit hours of training will give you the tools, techniques and materials to begin screening, assessing, and treating both children and adults with a variety of abilities. 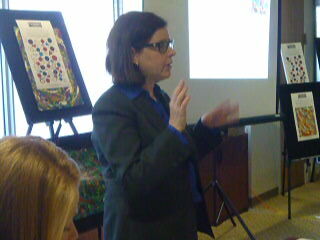 You will be able to use the PuzzleArtTherapy System concepts and products immediately in your practice. 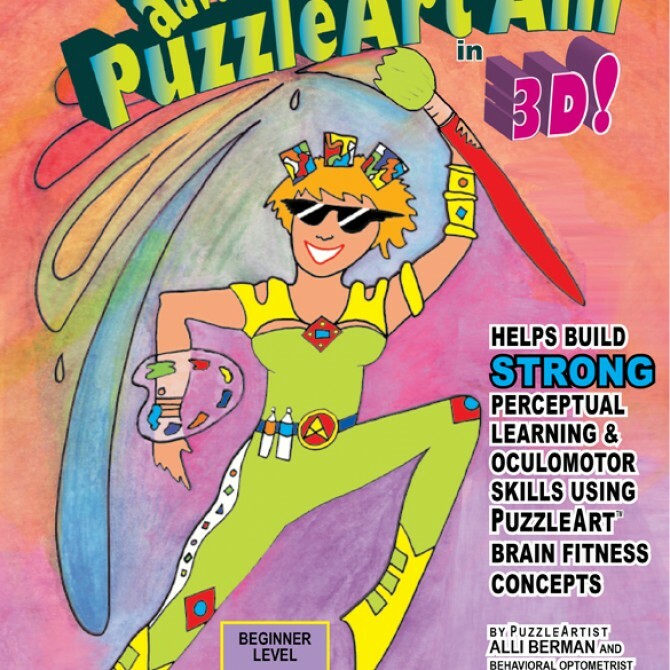 Join Us for Our PuzzleArt Training Program on 1/26/14! 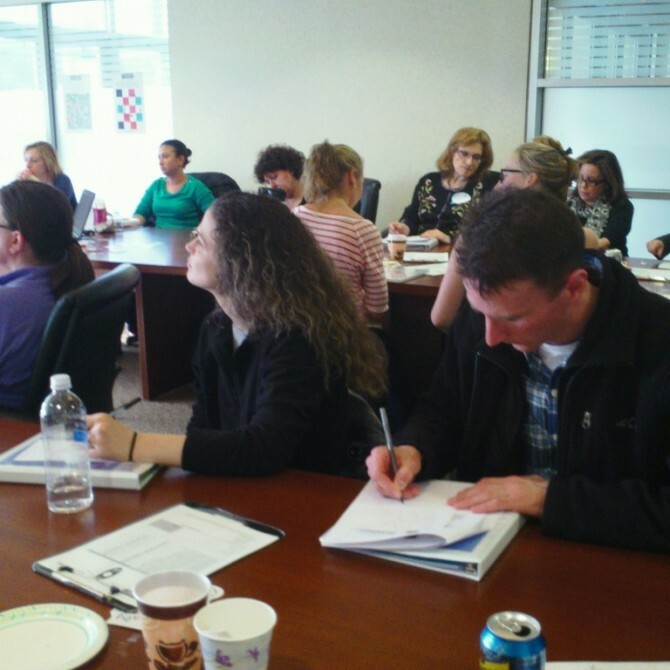 Join us for our live training event, 1/26/14 in New York! To learn more about our event and take advantage of our Early Bird Registration through January 17th, please visit our Training page. 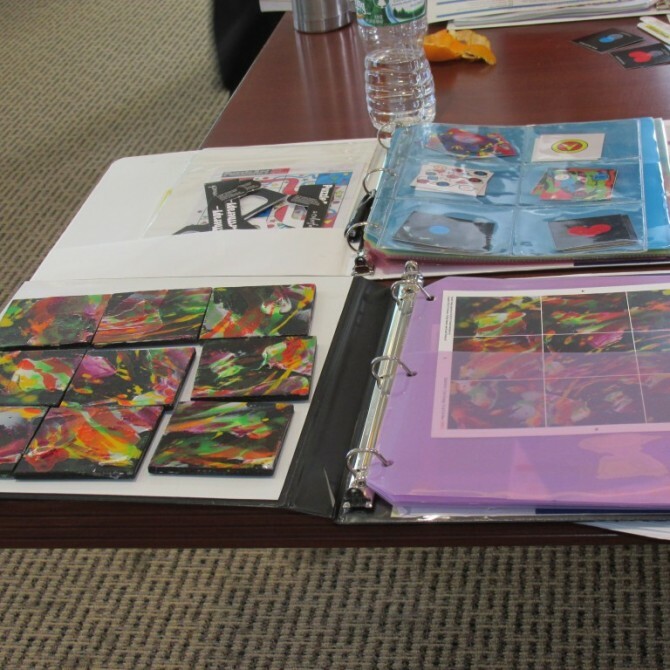 Participants in various PuzzleArt Training Programs work with three doctors, Susan Fisher, OD, Linda Hindy-Telford, OTD and Serena Zeidler, OTD, as well as PuzzleArt creator, international artist Alli Berman to learn a new, exciting integrated therapy process: PuzzleArt Therapy. They leave the hands-on six-hour certified program with $175 value of therapy products they can use the very next day with their various populations. 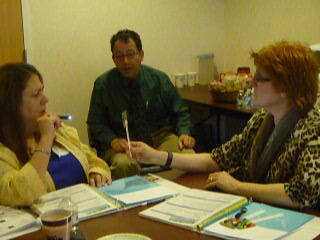 The holistic system is colorful and fun to use for both therapists and the people they serve. Train to improve 20 skills, including memory. Our PuzzleArt Therapy systems are used throughout the US and in 15 other countries and help alleviate many conditions, including Alzheimer’s.